Henry Sidford created roles in Dawson’s Anima Animus, Forsythe’s Pas/Parts 2016, Marston’s Snowblind, Millepied’s The Chairman Dances—Quartet for Two, Peck’s Hurry Up, We’re Dreaming, and Pita’s Björk Ballet. He has danced principal or featured roles in Tomasson’s Nutcracker (Spanish, Arabian, and Russian), The Sleeping Beauty (Suitors), Swan Lake (Aristocrats and Spanish), Caprice (soloist), and Prism (principal); Tomasson/Possokhov’s Don Quixote (Toreadors); Balanchine’s The Four Temperaments (2nd Theme), Symphony in Three Movements (demi-soloist), and Theme and Variations (soloist); Caniparoli’s Ibsen’s House (“Hedda Gabler”) and Tears (soloist); Lifar’s Suite en Blanc (pas de trois); McGregor’s Borderlands; Nureyev’s Raymonda—Act III (pas de quatre); Peck’s In the Countenance of Kings (The Hero); Possokhov’s Magrittomania (soloist men); and Thatcher’s Manifesto (principal); and Wheeldon’s Cinderella (Fates). His repertory includes Balanchine’s Brahms-Schoenberg Quartet (4th movement), Coppélia, Diamonds, and Scotch Symphony; Caniparoli’s Lambarena; Cranko’s Onegin; Fokine’s Petrouchka; Morris’ Beaux, Drink to Me Only With Thine Eyes, and Maelstrom; Neumeier’s The Little Mermaid; Peck’s Rodeo: Four Dance Episodes; Possokhov’s Firebird and Swimmer; Ratmansky’s Shostakovich Trilogy (Symphony #9); Robbins’ Glass Pieces and Opus 19/The Dreamer; Scarlett’s Fearful Symmetries and Frankenstein; Thatcher’s Ghost in the Machine; and Tomasson’s Giselle, Romeo & Juliet, Criss-Cross (Schoenberg-Handel movement), On a Theme of Paganini, and Trio. 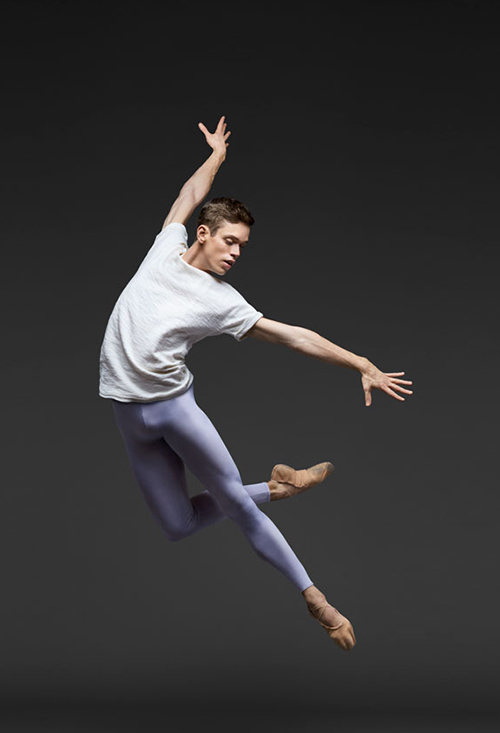 Henry danced McGregor’s Borderlands at the 2015 Ballet NOW Gala at the Los Angeles Music Center and performed in the 2015 film of Tomasson’s Romeo & Juliet (Montague Men) as part of the inaugural season of Lincoln Center at the Movies: Great American Dance.